The popular consensus in palaeoanthropology places the ancestors of our species exclusively in Africa before making a successful migration into Eurasia around 60,000 years ago. There has been some level of recognition that perhaps small numbers of early modern humans reached the Levant and the Middle East around 120,000 years ago. It was believed that these earlier populations represented a small-scale failed migration that barely managed to leave the continent before dying off. Now new Homo sapiens fossils from Israel suggest that this popular model is almost completely wrong. Human origins are a murky affair; there is no definitive narrative to this story beyond a few fixed points between which lines can potentially be drawn in multiple (at times conflicting) directions. The first thing anyone that follows palaeoanthropology should recognize is that the entire subject is dependent not so much on archaeological and genetic evidence as it is on accurate interpretations and sensible assumptions. There is no Homo sapiens DNA available that is older than 45,000 years, and the fossil record of early modern and archaic Homo sapiens is very sparse. This means any favored human-origins hypothesis can change rapidly on the turn of a trowel. 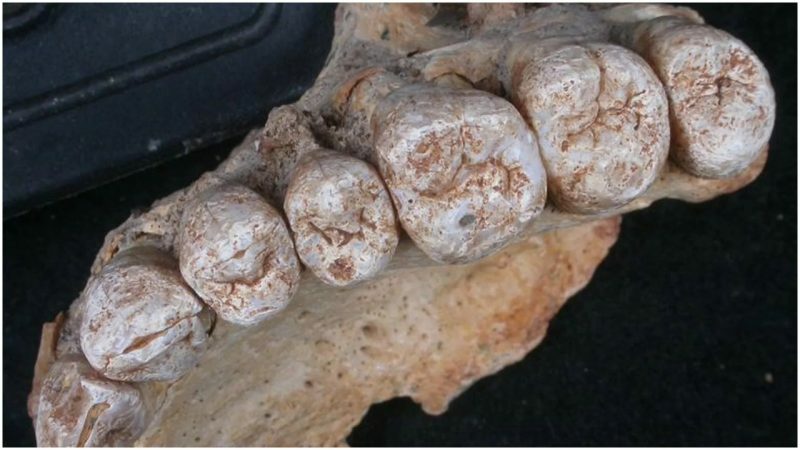 Israeli scientists have published a confirmation of an archaic Homo sapiens jaw fragment associated with a discovery made back in 2002, at the Misliya Cave site, one of Mount Carmel’s many caves. 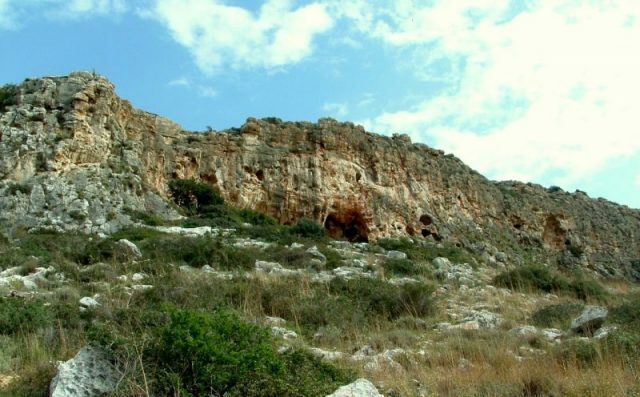 The article released in the science journal Nature, titled “Israeli Fossils Are the Oldest Modern Humans Ever Found Outside of Africa,” explains that the archaeological dig is situated just a few kilometers away from the Skhul cave, which has already produced modern-human remains dated at 80,000 to 120,000 years old. After considerable analysis by multiple methods and involving international teams, the jaw fragment was accepted to be that of an early modern human living around 177,000 to 194,000 years ago. “We called it ‘Searching for the Origins of the Earliest Modern Humans’; this was what we were looking for,” says Mina Weinstein-Evron, an archaeologist at the University of Haifa in Israel. This incredibly ancient human bone further erodes the recent “Out of Africa” model. Not only were early modern human populations living beyond Africa 120,000 years ago, but they had already colonized western Eurasia almost 200,000 years ago. This date from Israel is virtually contemporary with those of the oldest early modern human remains found in East Africa, at 160,000 to 195,000 years of age (the Omo and Herto Skulls). This latest announcement comes hot on the heels of several other “problematic” findings, including a new status for China’s Dali Skull, now identified as being that of a 260,000-year-old archaic Homo sapiens. The other major upset for existing models involved the detection of an interbreeding event between Neanderthals and archaic Homo sapiens that occurred somewhere in Eurasia around 270,000 years ago, emerging from the study of a Neanderthal bone at the Hohlenstein-Stadel archaeological site in Germany. When we factor in additional discoveries of potential early Homo sapiens populations living at Jebel Irhoud in Morocco around 300,000 years ago and others in China at dates closely matching those of the Dali skull, we begin to recognize Homo sapiens as a highly mobile and widespread species even from their very earliest appearance in the fossil record. It is time to completely abandon any romantic idea of a human genesis in an Eden-like human enclave somewhere in East Africa around 200,000 years ago. “The fossil could indicate that Israel and the rest of the Arabian Peninsula were part of a larger region in which H. sapiens evolved,” says John Shea, an archaeologist at Stony Brook University in New York. Perhaps the most intriguing implication of these very early modern human population in Eurasia is that we no longer require a migration into Eurasia 120,000 years ago to explain fossils from that later period. It may well be that these were the descendants of more archaic Homo sapiens already present across the continent, while fully modern humans of today would be descendants of a few that survived extinction 73,000 years ago in a refuge somewhere before expanding once again across the continent 13,000 years later. Perhaps it is time for us to be more skeptical of claims involving additional migrations out of Africa and consider other interpretations of the available evidence. Bruce R. Fenton is a researcher of human evolution and ancient hominin migrations, with a special focus on the rise of the first /Homo sapiens/. Fenton is the author of the pop-science book ‘The Forgotten Exodus: The Into Africa Theory of Human Evolution’, as well as a regular guest writer for several online magazines. His research interests have taken him to all six inhabited continents and led to his being featured in the UK Telegraph and acting as an expedition leader for the Science Chanel.He is a current member of both the Palaeoanthropology Society and the Scientific and Medical Network.